In this new half-hour documentary, Detroit Public Television’s Great Lakes Bureau continues to explore the political, social and environmental issues surrounding our most precious natural resource – water. In a time of cultural turmoil, deep divisions between Americans, our environment–our natural resources–are caught in the crossfire. In an approach that blends the latest science with their traditional ways, infusing science with their cultural values, a small band of Native Americans nestled into southwest corner of the Great Lakes might have the key to healing our divisions, healing nature, healing ourselves. They are the Pokagon Band of Potawatomi Indians. For the Pokagon, water is sacred. They are intimately tied to the lakes, rivers and streams that run through tribal lands. Unlike many Native American tribes, the Pokagon were never removed from their ancestral lands, but they saw their environment and way of life fractured over time. In the 19th and early 20th centuries, many of their lands were sold. The new European landowners altered the paths of rivers and streams where the Pokagon hunted and fished for centuries, and they cleared habitats to support Western-style agriculture. Culturally important plants and animals were pushed aside, and the Pokagon culture began to fade away. For the Pokagon, culture and the environment are not separate; if one suffers, so does the other. The Pokagon fought for decades to keep traditional ways alive. When the Federal government recognized the Pokagon as a sovereign tribal nation in the early 1990s, the tribe launched a series of cultural preservation and environmental restoration efforts. 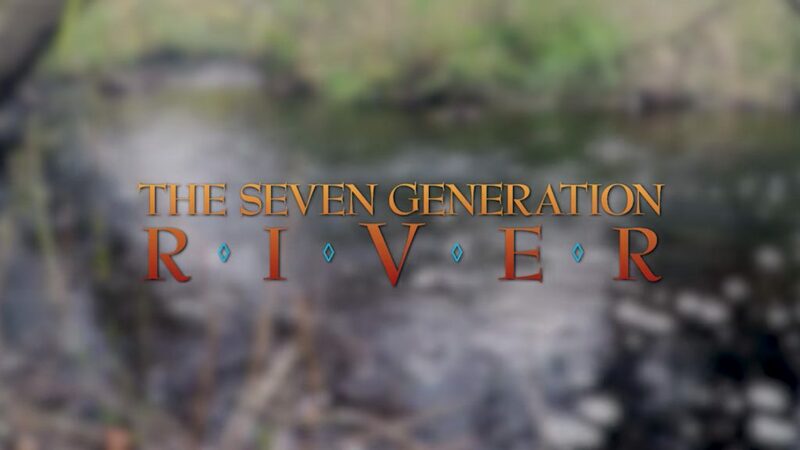 They are now actively working to restore their traditional arts, their language and ways of life, while incorporating new traditions like a yearly Water Walk to inspire tribal citizens to protect and preserve waterways. The Pokagon Band has also begun a major effort to set rivers and streams back on their natural course, and to improve the habitats that surround them. Their goal is to reconnect their citizens to their environment, and bring back traditional ways of hunting, fishing and growing food. It’s a major cultural preservation and environmental restoration effort to pave the way for the next seven generations.